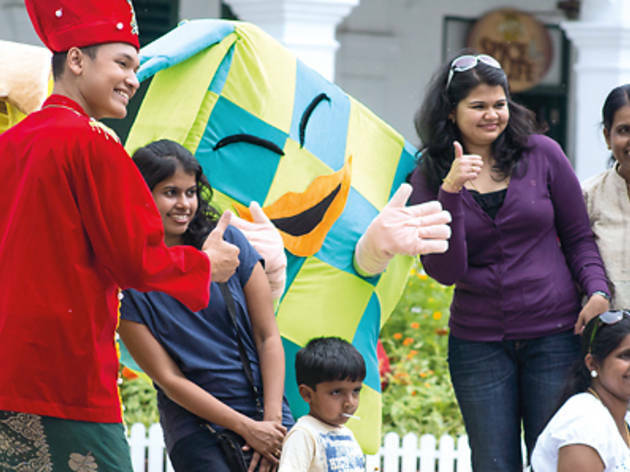 The self-dubbed ‘State of Fun’ has a whole bunch of activities lined up for the whole family throughout the weekend, all tinged with a lovely taste of nostalgia. 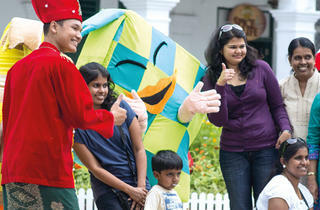 ‘Rewind’, which is happening at the Merlion Plaza, lets visitors dress up in traditional costumes for a free photoshoot. Otherwise, go back to the golden age of ‘Kampong Spirit’ at Palawan Beach, where you can try your hand at making a ketupat (a rice dumpling encased in a ‘weaved’ palm pouch) or old school playground games like hopscotch. There will also be live performances of favourite National Day tunes happening throughout the afternoons and evenings around the Merlion Plaza, and an attempt to enter the Singapore Book of Records for longest duration of mass line dancing on 10 Aug.